As protesters ransacked movie theatre screening Padmavati trailer in Kota, Rajasthan home minister Gulab Chand Kataria said in a democracy, everyone as right to hold peaceful protests. "If they take law in their hands, then they will be punishable under law," the minister said. The Karni Sena had held protests against Padmavati earlier too, alleging facts have been distorted. 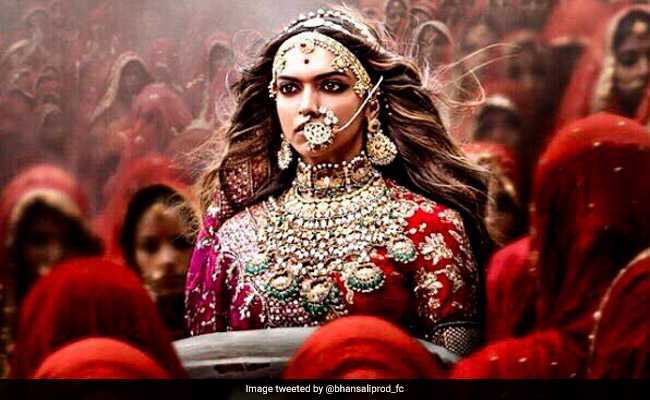 New Delhi: A Rajput group, which has been demanding a ban on Sanjay Leela Bhansali's fim Padmavati, targeted a cinema hall in Rajasthan's Kota that was screening its trailer. Workers of the Rajput Karni Sena vandalized shops in the Aakash Mall, where the theatre was located. Making their way inside through the mall's backdoor, the protestors went on a spree of violence, ransacked shops and broke the ticket window of the theatre. The police have detained eight people for the incident. Confirming the arrests, Rajasthan home minister Gulab Chand Kataria said in a democracy, "everyone has right to protest". "If they protest democratically, no one will have an objection. If they take law in their hands, then they will be punishable under law," the minister said. Mr Kataria has said the Rajasthan government is considering the option of forming a committee to look into issues related with Padmavati in Rajasthan. The committee is likely to have historians as members. The Karni Sena had held protests against Padmavati earlier too, alleging that the film was defaming Padmini, the 13th century Queen of Chittor, by distorting historical facts. The Deepika Padukone, Shahid Kapoor and Ranveer Singh starrer, they claim, romanticises the relationship between Padmini and Alauddin Khilji, the Delhi Sultan who was obsessed with her. According to legends, after her husband was killed in the battle with Khilji, Padmini set herself on fire along with other women of the royal household to save themselves from being taken prisoner. Mr Bhansali has denied that his film contains any romantic scenes between Padmini and Alauddin Khilji. The group also claims that the director, Mr Bhansali, had promised to have the film cleared by the group before releasing it in theatres. The demand of a preview has found support in some sections. Among them is Diya Kumari, a BJP law-maker whose grandfather was the last maharajah of Jaipur. Last week, the Supreme Court refused to ban the film, saying it was up to the country's censor board to decide how it should be released. On Sunday, more than one lakh members of the Rajput community had held protests in Gujarat, led by the local chapters of the Karni Sena. The group has vowed that they will not allow the release of the film - slated for November 1 - in half of India.